Is it snowing in Vigo di Fassa ?Thank you! Vigo di Fassa, situated in the Trentino region of Italy, is a small ski resort with 6 ski lifts (1 gondola and 5 chairlifts) and it boasts a very impressive 610 metres (2001 feet) of vertical descent. 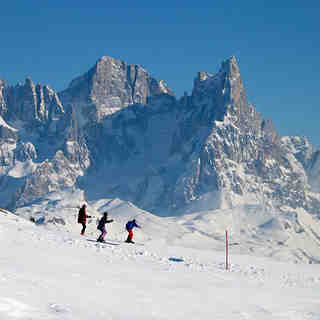 Vigo di Fassa has 9 pistes with a total length of 16 kilometers; access is via the Catinaccio cableway. 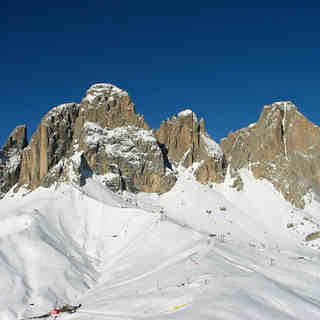 Vigo di Fassa is best suited to beginner skiers and snowboarders but there is some terrain for both expert and intermediates. 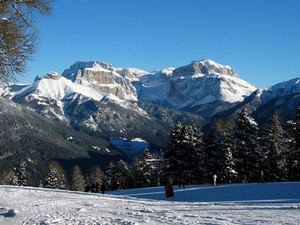 There are 8 kilometers (5.0 miles) of cross country ski trails at Vigo di Fassa. The majority of the pistes at Vigo di Fassa are covered by snowmaking. 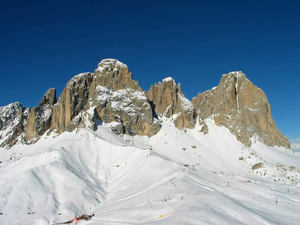 The nearest airport is at Venice and the nearest train station to Vigo di Fassa is at Bolzano. Vigo di Fassa is a small picturable village. 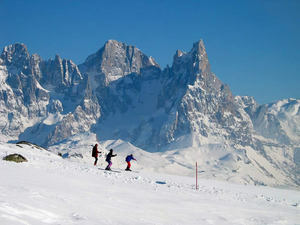 There are a few shops and cafes but for your apres-ski hours it is better to drive to Moena (only a few minutes away). The ski area is good enough and it is a very good place for kids as in front of the cable car Ciampedie is playground 'Kinderpark' with lots of games, activities and ski lessons for our little ones. Dont forget to try 'Thoni' and 'Tomba'.